Monthly Lenses Horizont Bio A comfortable contact lens all day long! Radius or Curve Base: 8.40 mm. Horizont Spherical is a disposable monthly lens, made of silicone hydrogel, with Aspheric design of the anterior face. This monthly lens has a rounded edge design, which makes it more comfortable, since the eyelid passes over the lens without noticing that it is on. Horizont Esférica stands out as a monthly lens because it provides a very clear vision, great comfort in its size and easy handling. UV protection integrated in the lens that prevents the appearance of cataracts. 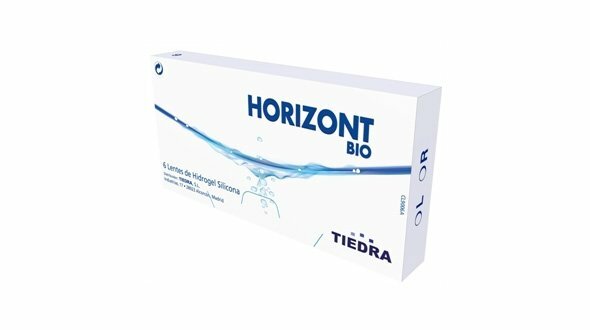 Horizont Spherical is a monthly lens that adapts perfectly to the cornea, avoiding problems of oxygenation and tear drop. In summary, the Horizont Spheric monthly lens has been and will continue to be a pioneer and providing patients with long-term contact lenses with great comfort and excellent vision. 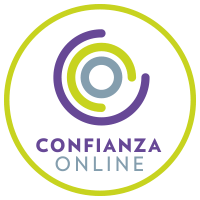 In Prodevisión you can acquire the monthly Horizont Esférica contact lenses easily, comfortably and at very competitive prices, enjoying all the purchase and security guarantees. We are a serious company with many years of experience in the world of optics (contactologists, we adapt lenses daily in our center). We are professionals. When requesting your monthly Horizont Spheric lenses in Prodevisión, it is necessary that the cheap lenses have been prescribed by an Optical Vision specialist or Ophthalmologist, from there, you must make your order by copying the parameters of the last box of contact lenses that you have acquired, that is, the first adaptation has to be done by the professional who will assess vision, movement of the lens in the eye and also teach you the correct handling and maintenance of the lenses. It is important to mention the maintenance fluid, usually called a single solution. This must be of quality (first mark, all liquids are not equal) and it is always possible to use it. A change of liquid can cause serious problems in the use of contact lenses. 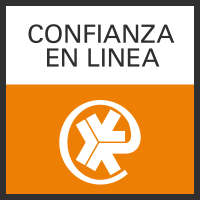 In Prodevisión we have the first and best brands of maintenance liquids on the market that assure you that they will take care of your eye and your Horizont Esférica lenses with all the guarantees.